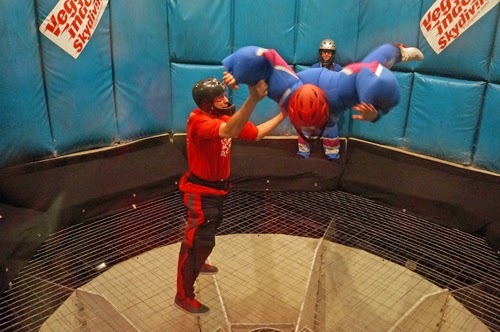 Vegas Indoor Skydiving experience is similar to skydiving with the addition of a mesh trampoline floor and foam padded walls. 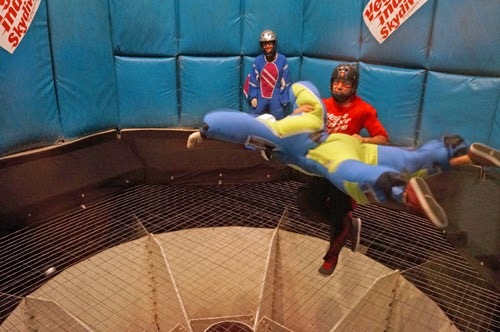 Guests are able to simulate the freefall aspect of skydiving without the use of an airplane or parachute. They use a vertical wind tunnel to introduce guests to the sport of indoor skydiving. The tunnel produces enough wind to support the weight of an average adult.